Do you own an air compressor? If you don’t, you may want to consider buying one. Air compressors like the Porter Cable Air compressor make countless projects much easier than if done by hand. 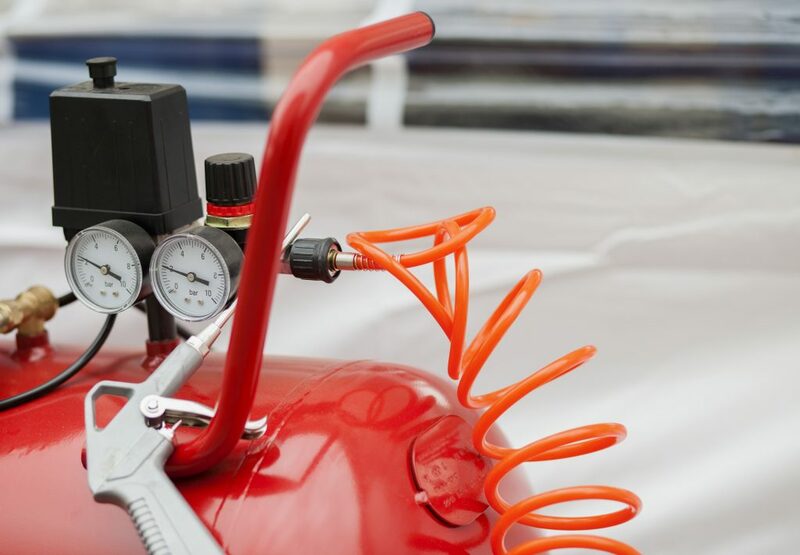 When purchasing an air compressor you need to make sure you get the right one for your needs. There are many to choose from, so you’ll need to do some research. In your search, you’re likely to come across some Porter Cable air compressors. So here’s the low-down on a few of the machines they offer. Is a Porter Cable air compressor right for you? Keep reading to find out. If you aren’t familiar with air compressors you might wonder what all the hype is. A quick glance will show you exactly why these machines are so popular. Have you ever sanded a large project by hand? Or hammered in a whole bunch of nails? Both types of projects take a lot of time. That time can be cut immensely if an air compressor is used. Air compressors use compressed air to power all sorts of tools. Paint sprayers, sanders, nail guns, and more get the power they need from air compressors. Air compressors come in all shapes and sizes, so it’s easy to find one that fits your needs. You’ll hear and read a lot about which air compressors are best. Reviews are a great place to start, but your decision should ultimately be based on your needs. Your buddy may love his air compressor. That doesn’t mean you have to choose that compressor. It may be much bigger than what you need or can afford. Here are some things to keep in mind as you look for the right compressor. What kind of projects do you think you’ll use your compressor for? Will you be doing a lot of woodworking or car painting? Then you’ll want something that can withstand being used for long periods of time. Some air compressors are very large. That may not work for you if you have a small space. Small compressors are still helpful but they’re much more small-space-friendly. Some air compressors won’t be able to handle bigger, longer projects. 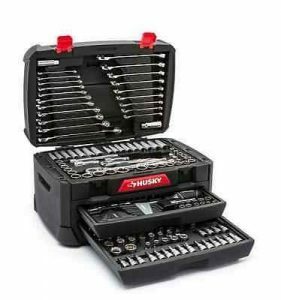 Find out how much power your tools require before buying a compressor. Look at both the PSI and CFM of the compressor to understand what it’s able to do. The compressor’s capacity (gallons) will also give you an idea of what the machine is capable of. Now that you know a bit about what to look for and why you may need a compressor, let’s look at some of the options that are available from Porter-Cable. This pancake compressor is highly portable and capable of doing many home projects. Only 19 inches “square” this compressor is a good option for anyone looking for a compressor that doesn’t take up a lot of space. This electric compressor is meant to hold its ground. The pancake style offers stability in and of itself, and the compressor comes with rubber feet for even more holding power. Want to take your compressor with you? It’s easy with this compressor. It comes complete with a cord wrap and only weighs 31 pounds. This isn’t the most powerful compressor on the market by any stretch of the imagination. It comes with a one horsepower engine. A compressor of this size probably won’t hold up to your larger projects, but it’s perfect for smaller projects such as filling tires and powering nail guns. Just make sure you don’t forget to break in your compressor when you get it. Check out this video review if you’d like to see it in action. See the Portable Pancake Compressor on Amazon. This compressor is essentially the same as the C2002. It does run a bit bigger though at 22.5 x 20.44 x 22.56 inches and it comes in a kit. Like the C2002, this compressor is extremely portable, weighing at just over 30 pounds. It’s perfect for toting with you to away jobs and storing in small spaces. Besides the compressor, this toolkit comes with a finish nailer, a brad nailer, and a crown stapler. This is great for anyone just starting out in air compressor tools. Purchasing each item separately would definitely cost more. For a video review of this kit, click here. See the Portable PCFP Compressor on Amazon. This CMB15 compressor offers the ultimate portability. At only 20 pounds you can take this compressor just about anywhere. It’ll fit just about anywhere too, coming in at roughly 15 x 13 x 20 inches. Though you can take it anywhere, it comes with a handy 25-foot hose. This lets you maneuver however you need to, whether you’re working on a wood project with multiple sides or you’re walking around a car applying paint. This kit comes with eight accessories in addition to the compressor. Whether you’re new to the air compressor game or not, a Porter-Cable air compressor is a solid choice. They offer a variety of compressors and they’re built to perform exactly how you need them to. Having an air compressor will completely change the way you perform household and on-the-job tasks. Try one today-you won’t regret it. Air power is one thing, but what about the power of the sun? Check out these solar generators to see just how powerful it can be.